a2b Fulfillment, a third-party logistics provider with a specialty in order fulfillment, customer care and value-added services, is a Solution Provider Sponsor at the Fifth Annual Georgia Logistics Summit. 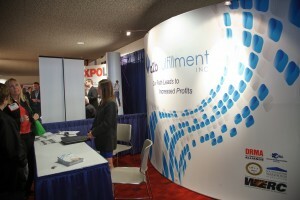 The event is hosted by the Center of Innovation for Logistics on March 18th- 19th in Atlanta, GA.
Last year more than 2000 attendees from 30 states and 9 nations attended the Summit. Many industry leaders are lined up for informative and insightful presentation throughout the day. Summit attendees will have an opportunity to interact and share their perspectives on Georgia logistics providers, potential service improvements and industry trends. It begins with a discussion titled International Logistics: Partnerships & Possibilities. Attendees will learn about and discuss business opportunities with experts from around the world. Panelists include representatives from some of the Southeast’s top trading and investment partner countries including India, Mexico and Japan. Next is a session on the Logistics of Manufacturing, where some of Georgia’s most prominent and upcoming manufacturing companies sharing insight into how they plan to compete and grow in an ever changing global economy. Georgia’s Governor Nathan Deal welcome remarks will be followed by a panel discussion lead by Page Siplon, Executive Director, Georgia Center of Innovation for Logistics. The panel includes representatives from ports, rail, trucking, air cargo and Georgia Department of Transportation. Opportunity sessions on Imports, Exports and Domestic logistics issues give attendees an opportunity to delve into focused areas of interest. Breakout session feature trends of demonstrated importance to today’s rapidly evolving supply chains. The keynote address will feature Kevin Jones, Walmart’s Vice President of Inbound Transportation. He will discuss how the world’s largest retailer leverages not just imports, but exports and domestic transportation in order to cost effectively serve its millions of customers every day, from over 11,000 stores in all corners of the globe. Finally, the Summit offers ample opportunities for networking and visiting with potential clients and vendors. “a2b Fulfillment can provide many different solutions in logistics for Summit attendees. We look forward to meeting with and sharing our expertise with companies of all sizes and industries” invites Allison Chesnutt, Business Development Executive at a2b Fulfillment. 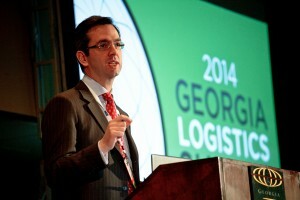 For more information on the Georgia Logistics Summit, visit www.summit.georgialogistics.org.